September 14, 2017 the residents of communities affected by the crisis in Donetsk region had an opportunity to learn more about the work of UN agencies in the east of Ukraine and to communicate with UN staff in an informal atmosphere as well as to obtain useful practical materials. 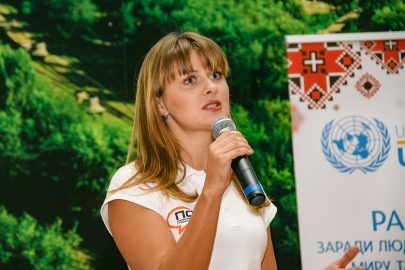 From the beginning of the crisis in eastern Ukraine, UN agencies have been struggling to improve the situation in most negatively affected and vulnerable population groups, provided humanitarian and psychological assistance, helped to create opportunities for employment, restored infrastructure and contributed to the establishment of social cohesion. The UN team in eastern Ukraine consists of eleven agencies that deal with different areas of assistance and work for a common goal – cultivation of a culture of dignity through mutual understanding and respect for human rights in order to establish peace and positive change in Ukraine. 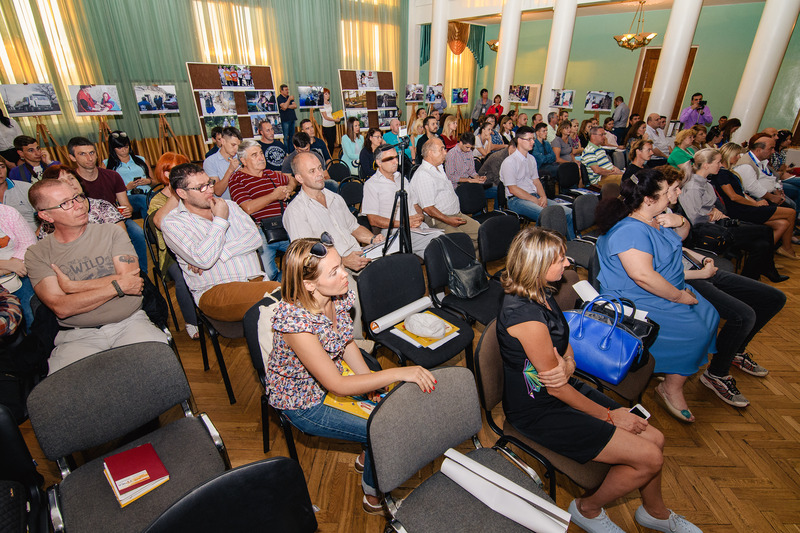 – «Facilitating the reconstruction and sustainable resolution of problems faced by IDPs (internally displaced person) and conflict-affected population of Ukraine» funded by the European Union [ https://europa.eu/european-union/index_en ]. 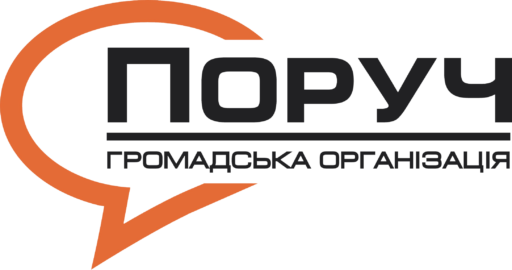 NGO “Poruch” is implementing partner of above mentioned projects. Measures of civic cohesion, refurbishing of infrastructure objects and a creation of new network of activists have been implemented in 20 communities. At the moment, nine communities are preparing for repairing work and undergo educational training. Overall, over the past year, 500 cohesion events were held which was attended by 28.827 participants. A new network of activists was created. 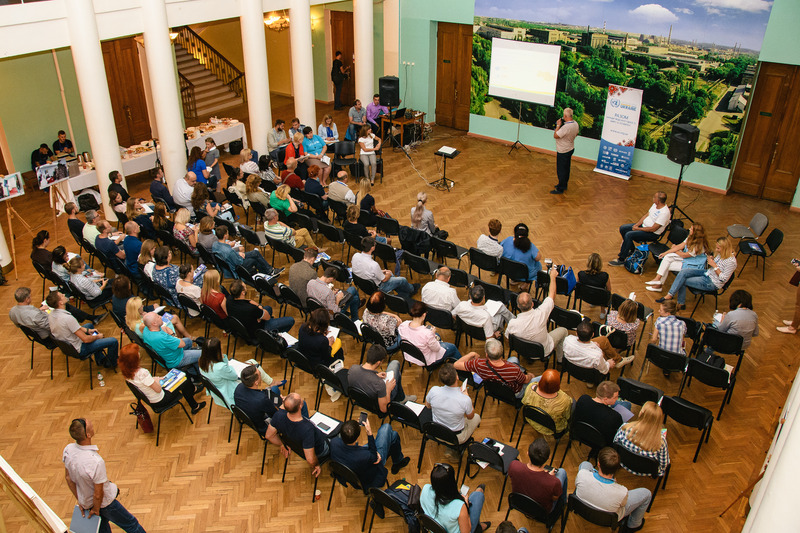 NGO “Poruch” experts held training course on community consolidation and development, project activity, fundraising, participative and communication. Also, NGO “Poruch” experts joined the community festival. Moreover, participants of the event show interest in NGO “Poruch” projects as the “School of Volunteers” [ http://poruch.ua/en/11704.html ] and the social initiative “Give a Ukrainian book to the Donbass libraries” [ http://poruch.ua/en/action-give-a-ukrainian-book-to-the-donbass-libraries.html ].